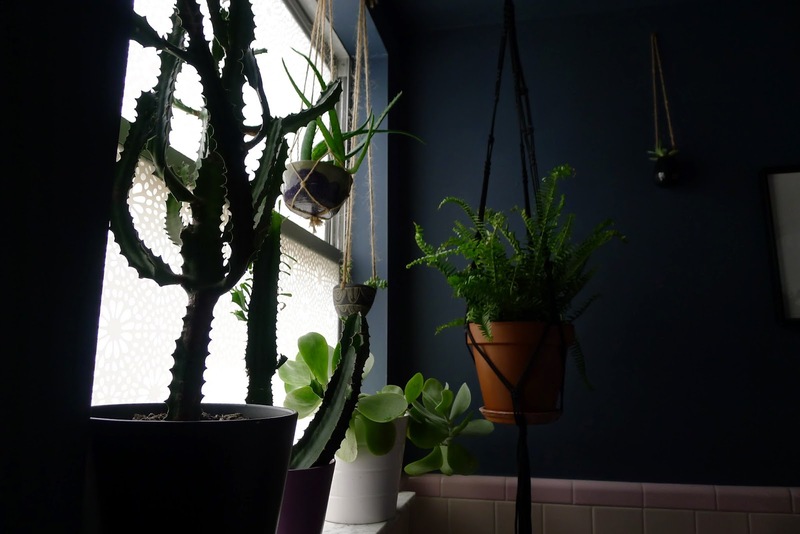 A Jungle in the Bathroom. I have been trying to work with the vintage pink tiles in the bathroom and I just got tiered of the mint green walls with the pink tiles. Since dark paint seems to make any room feel more fabulous I decided to go dark. We painted the walls and ceiling in Benjamin Moore Evening Dove in a matte finish. This color is a very rich grey with some purple in it. It definitely looks a lot better with the pink tiles. We have a HUGE window in front of the toilet and bathtub which we covered in window film by Emma Jeffs in the Otto design. 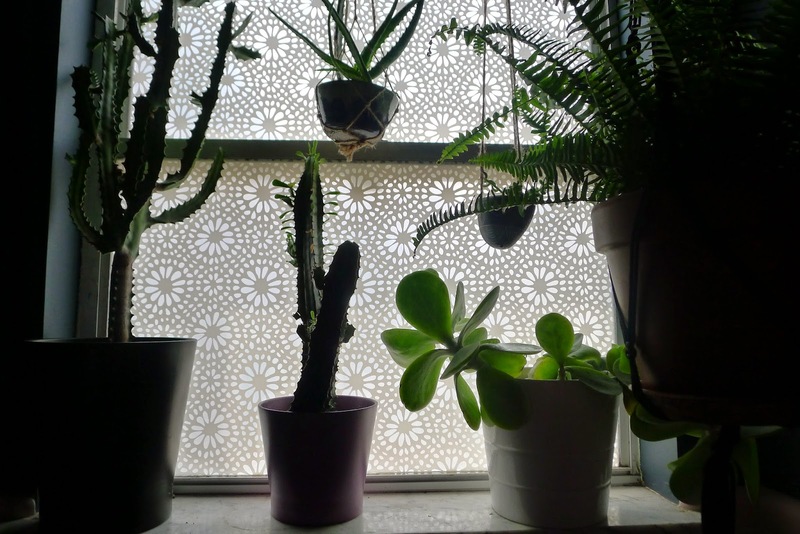 This gives us much needed privacy in the bathroom without having to deal with other fussy window coverings. 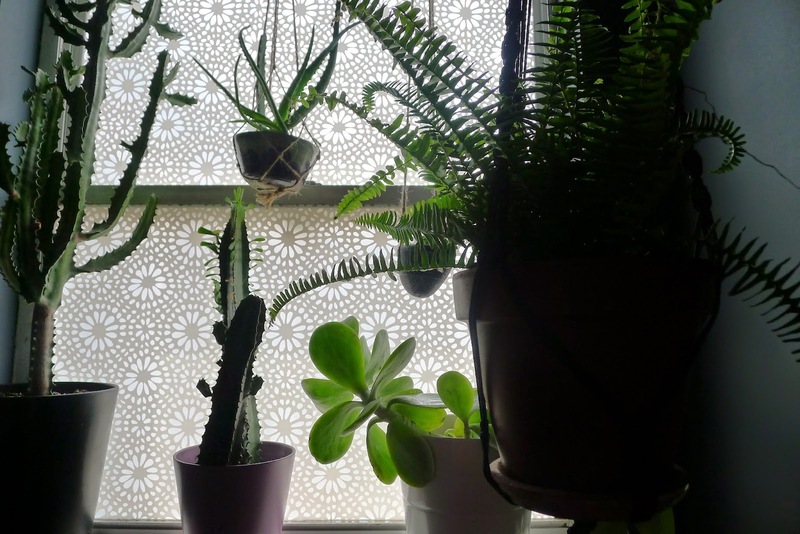 Also, the window film allows the south facing bathroom to continue to be flooded with light. These photographs make the bathroom look a lot darker than it is because it is not easy to take pictures into a light source. The window film made a big difference in the room. I had a hard time capturing the the way the light illuminates the design in the window. 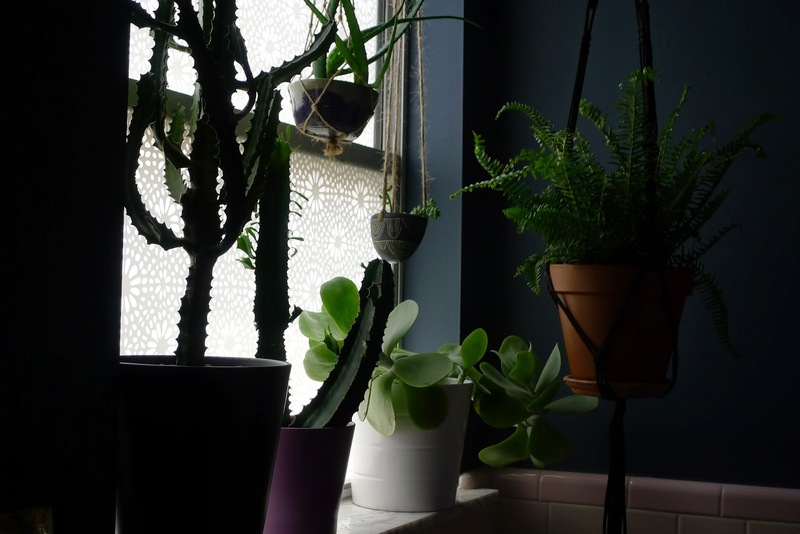 These plants love the humidity and light in the bathroom. 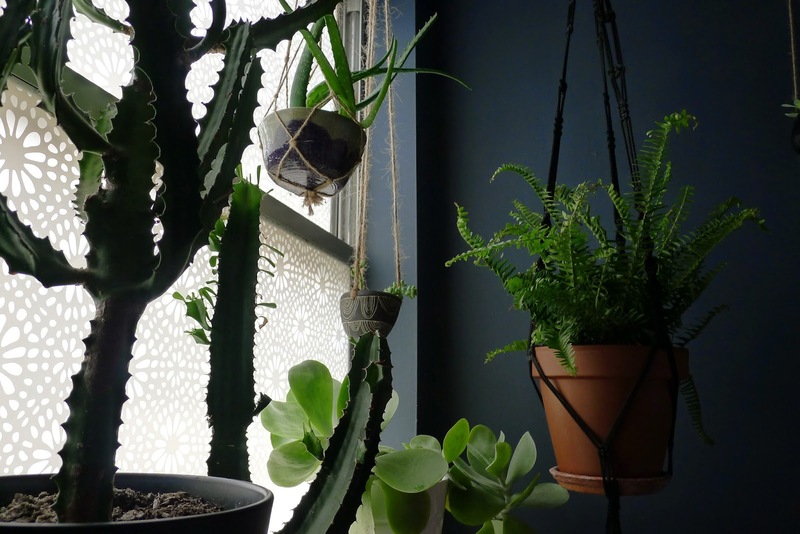 I’ve lately become obsessed with hanging macrame planters and other hanging planters. They take up no space and really highlight the plants. I am hoping to have a verdant jungle in here very soon. I just realized that you can barely see the tiles against the wall in any of these pictures. I was so excited to take pictures of the plants against the wall that I totally forgot about the rest of the bathroom! « The Master Bedroom is Black!